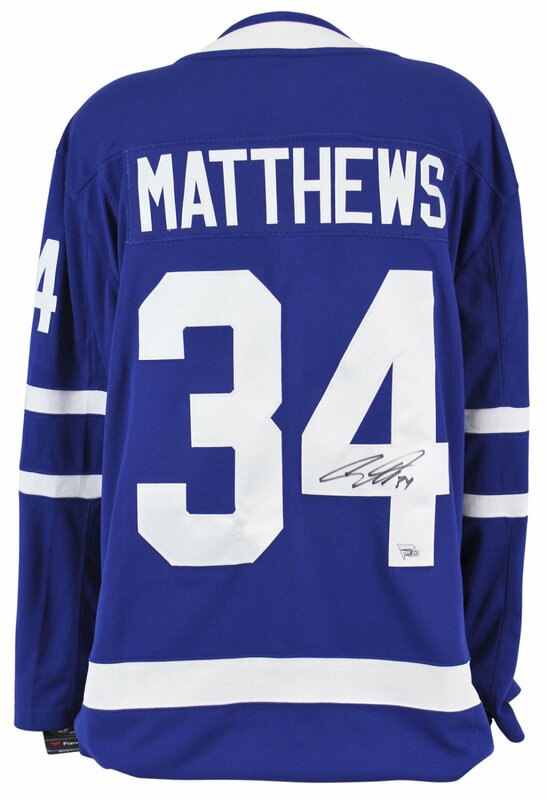 You are viewing a Fanatics Breakaway jersey that has been hand signed by Austion Matthews. It has been authenticated by Fanatics and comes with their sticker of Authenticity, which can be verified on the Fanatcs website. Guaranteed 100% Authentic. Mint. Also available in white. View our store for other authentically, autographed items, and combine shipping. Ships US and International with Tracking # and Insurance.